HR24Solutions is an International online job search platform that operates in a unique model best suited for both Employers and Jobseekers. Q. How to register on HR24Solutions.com? It's a simple 2-step process. Just log on to https://www.hr24solutions.com and click on " Register Now!” button on the right side of the page. Step 1: Fill in your details Step 2: Activate your registration by clicking on the link sent to you in the welcome email. Q. Is registration on the HR24Solutions free? Yes. Registration is free for job seekers and job advertisers, Our services are absolutely free for Employers. So, whether you are a Startup, a mid-size company or one of the leading corporate, you can easily become a User of our job portal. Register here *We have both Paid & Free Services as per client requirement. Q. I don’t remember my password. How do I retrieve my password? If you are not able to trace the welcome mail received from Team Hr24Solutions and you don't remember your password, click on the "Forgot Password" link below the log in box. It will prompt you to enter your username (email id). A new password will be sent to you on your email id. Q. I am not able to sign-in into my account. What do I need to do? Q. Why should I register with HR24Solutions.com? HR24Solutions.com helps you find the right job matching your aspirations.  Registering with HR24Solutions.com enables you to: 1- Access and apply in one-click to International Jobs 2- Store and access your Resume online 3- Get your CV viewed by over All world recuiters who will contact you with un-advertized jobs. 4- Create multiple customized profiles and apply to a job using the most relevant profile. Q. How can I post my Resume? To post your Resume at HR24Solutions, click on the �Upload Your Resume� on www.hr24solutions.com. This takes you to the next step of filling up your personal and professional details. These details are important information that the recruiters look for. Once you’ve completed this, your profile registered with us. This is your default profile which is sent across to the recruiters when you apply for a particular job vacancy. We highly recommend you to fill all details so that you present recruiters a resume that is comprehensive and one that gets you the jobs you are looking for. Q. How can I update/edit my Profile? You can update your profile only after you login to HR24Solutions. Once you have logged in to your account, you see a snapshot of your active/default profile and contact information. To edit your profile, click on the ‘My Profile’ link. You can make changes to your Profile by editing the relevant sections from the ‘Profile URL’ page. It is recommended that you update your Profile regularly. Recruiters often contact only those candidates who have recently updated their profiles. Q. Does it cost to post my Resume? No, posting a Resume on HR24Solutions.com is absolutely�Free of Cost. In fact, you can create up to 5 customized profiles to suit specific jobs absolutely free. Q. How can I change the password to my account? Once you have logged in to your account, you are taken to the page that shows a brief summary of your account. To change your account password, click on the ‘Change Password’ option. You would need to enter your old password and specify and confirm the new one. Once you specified and confirmed the new password, a confirmation mail will be sent directly to your inbox. Search gives you an option to look for relevant jobs based on your specific requirements. Keywords For a keyword search you may enter Designation, Key Skills, or company name of desired job. Keyword search is of the following types Locations You may enter Indian cities or international countries, depending upon your preference. The search result will display only those jobs which are based out of the locations that you have specified. Functional Area This will help you find jobs matching your desired sector. Q. The job search sometimes shows results running into thousands. How can I refine my search further? Browse gives you an option to look for relevant jobs based on the job category. Once, you have chosen your desired category of jobs, you can further refine your search by adding criteria like keyword, experience and locations. Q. How is browse different from search? Both Browse and Search give you an option to find relevant jobs based on your specific requirements. However, while search lets you find jobs across different job categories, with the browse option, the job search is category specific. Also, the number of options that you can use to find jobs with search are wider than what you get with browse. Q. How do I search for relevant jobs? Search gives you an option to look for relevant jobs based on your specific requirements. To search for a job, you can use the given search window. It is recommended that you specify the keywords, preferred locations and your sector criteria to access job search results which are closest to what you are looking for. In case, you get results running into hundreds, you can narrow down your search by specifying all available criteria. In case of �No Results Found�, it is recommended that you may broaden your search by entering only a limited number of criteria. Q. I am not getting enough jobs in my inbox. What should I do? Jobs are sent to your inbox either through a personalized Job Alert that you create or a Job Alert based on your profile. If Job Alert based on your profile is not giving you enough jobs in your inbox, it is recommended that you complete your Profile and make it more comprehensive. Alternately, you can create Job Alert based on your own personalized criteria, if you have not created any. Q. What are the benefits of creating my personalized Job Alert? Creating a Job Alert helps you find access to the latest jobs matching your aspirations. Based on the criteria that you have specified for your Job Alert, you get latest matching jobs in your inbox. Q. What is the Jobs by Location option provided on the Home Page? ‘Jobs by Location’ enables you to refine your search by selecting that particular city you are looking at for finding a job. Once you have selected a job location, the search result will reflect only those jobs that are based out of the particular location that you have selected. Q. What is the Jobs by Category option provided on the Home Page? ‘Jobs by Category’ enables you to refine your search by selecting a particular industry that suits your job requirement. The option provides you with a comprehensive list of all the jobs that are available under the chosen category. Clicking on the link further narrows down the category, into the area of specialization that you are looking at. Q. How can I select a particular profile while applying for a job? You can create up to 5 different profiles based on your job requirements. You can use any of your profiles while applying for a particular job vacancy. This can be enabled by selecting the option “Choose profile during apply” from the manage profiles. Q. How many Profiles can I create? You can create up to 5 different Profiles based on your job requirements. However, only the profile you mark as Default will be visible to the recruiters who search our database for candidates best matching their requirements. Your Default Profile will be sent automatically to the recruiters when you apply for a particular job vacancy. Q. How can I create a Profile? To create a profile, you need to login to HR24solutions.com. Once you have logged in to your account, click on “Create a My Profile”. Alternatively, you can also click on “Create/Manage Profiles” link on the left side. The link takes you to a page listing all your profiles from where you can create a new profile. Though filling up some of the fields is not mandatory, it is highly recommended. It enables you to present to recruiters a profile that is complete in all aspects. Q. What are the benefits of creating multiple Profiles? Creating multiple Profiles enables you to customize individual profiles for different job categories. You can select any of the profiles you have created to apply for best matching jobs. You also get the option to attach relevant CVs and Cover Letter with each profile. For example, if your skill set comprises skills required for business development as well as marketing, you can create a “Business Development” profile and a “Marketing” profile. You can use the appropriate profile while applying to a job. Q. How does theHR24Solutions work for job seekers? As It's an International Job Portal, So you can apply for any country from anywhere. Registered Job Seekers can subscribe to job adverts and job categories. You will also have an on CV profile that can be searched by job advertisers and employers. We advise job seekers to complete their online CV profile so that they can be included in our website’s Job Seeker Search. Q. When can I expect a response after a successful job application? Q. How do I know if I have successfully applied for a job? In case of a successful job application, you will be informed of the same through the confirmation mail sent by us directly to your inbox. Q. Do I have an option to reapply for a particular job vacancy? Yes, you have an option of reapplying for majority of the jobs that are advertised with HR24solution.com. However, for a few selected ones, recruiters do not accept reapplications, based on the specifications provided by the recruiters. In such a scenario, you will be informed of the same. Q. Can I apply for more than one job at a time? Yes, you have an option to apply for more than one job at a time. Using the Multiple apply option, you can send your responses for the selected job vacancies simultaneously to the recruiters. You can send up to 10 job applications at a go. Q. How can I apply for a selected job? Once you have selected the job/s that you want to apply for, there are two types of Apply options available to you: Single Apply with Single Apply, you can apply for one job at a time. This option enables you to view the complete job specifications before applying. Multiple Apply with Multiple Apply, you can apply for more than one job at a go. All you have to do is to select the jobs you want to apply for. Clicking on the apply button enables you to send your responses to the recruiters simultaneously. Q. How do I search for job adverts on the Hr24solutions job portal? Q. When can I expect to hear back from the hiring department? The hiring process can seem to take a long time, but keep in mind that timing for employers is not the same for applicants. While some companies fill certain positions very quickly, others move slowly. Depending on what’s happening within a company, the urgency to fill the role can vary. In fact, during a job search, people report a wide range of experiences: 44% hear from employers within a couple weeks of applying; 37% hear back within one week; and only 4% hear back within one day. Though it can be nerve-wracking, you should remain patient when the hiring process takes longer than you want. After scrutinizing every detail and tailoring your resume to fit the available position, your job application is ready. You finally get the nerve, press “apply” and wait—maybe for a few days or even months. Unfortunately, you won’t be able to make any edits to your uploaded document once you have submitted your application. However, we can upload a new updated attachment (resume/cover letter as one file) and delete the outdated version. Q. Why do I keep getting logged out of my account? If you have been logged out of your HR24Solutions account, it is probably because: You have not used the application since 1 hour after you logged in and your login session has expired. [Note: It is always recommended click on the Logout link at the top after you finish using HR24Solutions services. This is to avoid any timeouts and prevent unsaved changes from being lost]. OR You do not have cookies enabled on your browser. You will need to enable cookies and then login again. Q. Whom should I contact if I face any problems while using my account? You can use either of our support options: Report the problem directly to us at info@hr24solutions.com and our support team shall get back to you within 48 hours. HR24solutions Recruiters can contact our help desk at info@hr24solutions.com, between 10am to 6pm from Monday to Saturday. Q. I am having problems signing into my account. What should I do? Q. How are the resumes listed? When you click on a particular resume category while browsing, you will get a listing of resumes belonging to that category in reverse chronological order. That is the resumes that have been uploaded most recently will be on top and the earlier uploaded resumes will be listed below those. Q. What types of Keywords produce optimum results? Keywords are a matter of personal choice. If you are looking for very specific jobs, you can enter Job Titles as useful keywords, but if your search is more general, you may choose to enter Skills you may have, machines you can operate, software applications you know, or anything that is relevant to the position you may be interested in. Q. What are Job Postings? What all can I do with your Job Postings solution? When you need to fill a position, time is money. And every minute counts. You need to get your job in front of the most qualified job seekers. You need an easy and reliable way to manage incoming CVs and select the right person for the job. And that's what posting your job on HR24Solutions delivers - the most efficient and cost-effective way to hire online. Q. How can I post a job on HR24Solutions.com? Posting jobs on HR24Solutions.com is quite easy- Login to your Recruiter�s account at HR24Solutions.com with the username and password mailed to you earlier. Go to "Job Postings" » Post a Job Fill the Job Posting form, preview and post it. Q. For how long will my posted jobs remain advertised the site? All jobs remain active on the site for 30 days from the date of posting or depending on your package you have taken. Q. How do I know the number of job postings left in my subscription? You can view this information on recruiters’ home after you login. You can also see this number at the top of Manage Jobs section. It takes 2 minutes after getting approval for a job posted to be visible on the site. Q. How can I keep a track of Job Posting activity for my account? you can generate and view the following reports after you login to account as a user User Report: Displays the overall Job Posting activity of the users of your company over a period of time. This reflects the number of jobs posted, edited, refreshed and deleted by each user of your company. Job Report: Displays the details of each & every job being posted by your company i.e. who posted it, last refreshed, no. of views, responses, job status etc. Q. What types of Profiles do you have?  At HR24Solutions you will find a wide range of Profiles from whole world in terms of educational qualifications, functional area, years of professional experience, preferences, locations etc. Q. How the Profiles of the candidates are listed?